Very well summed up. As always, a very detailed review. 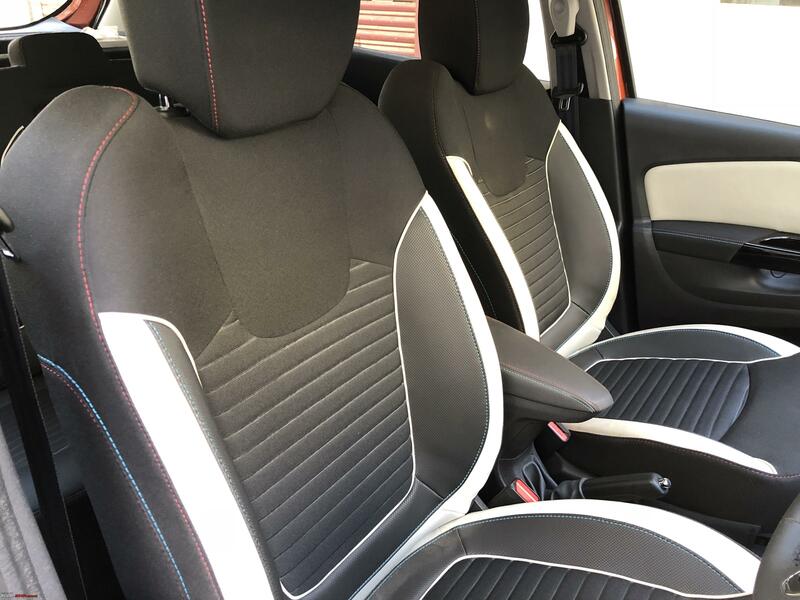 As for the car, the exterior looks really good but could have improved the interiors (quality has improved a lot when compared to the Duster but looks a bit bland). I feel they should have put that effort in bringing the new duster here. Yes. That's the fuse box. They didn't bother to change the locaton for right hand drive cars. Mat points that out in his review. Great review! As usual, the attention to detail is immaculate. I feel they got it completely wrong with the placement of this product. Considering that the ageing Duster was on a decline, they would have just launched this as a replacement for Duster (something like how Toyota replaced the Qualis with an Innova). After all this is the Duster in a bit nicer looking clothes. By placing it as a premium product above Duster with no big step-up on offer, they really set themselves up for failure. And the launch gimmicks and related negative publicity added on to the woes. The success of first gen Figo and Duster were mainly due to the fact that they offered something different and with the absence of tough competition. Also, both "seemed" considerably larger than they actually are. The failure of second gen Figo and Captur is that they don't stand out among the competition, and their segments are really crowded now. Also, both "seems" considerably smaller than they actually are. Last edited by romeomidhun : 13th March 2018 at 11:17. Kudos to Team-BHP for compiling this review for a failed product that is only going to be bought by a handful of people. Really helpful for that small minority. The wonderful thing is that I realized how VFM the base models seem with Airbags, ABS, Auto Climate Control, Appearance. This point doesn't show up in any marketing material anywhere. For all future Renault customers I have a word of advice, based on the track record, ownership cost is higher than average for all Renault cars except for the KWID. Renault can't stop selling Duster I guess. 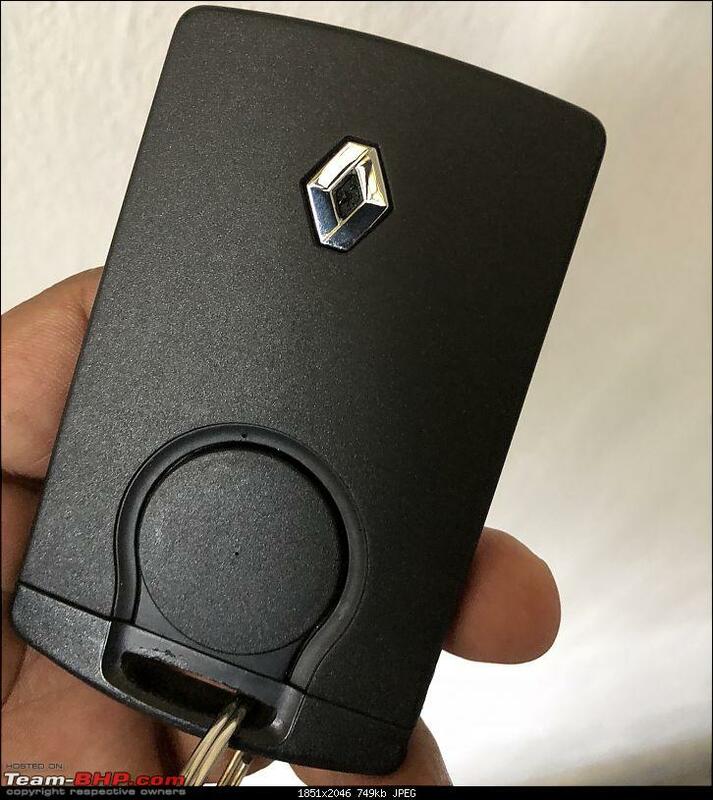 It's a car which created brand name in India for Renault. Still people know Renault mainly by Duster. Coming back to Captur,any day I will pick Duster over it. 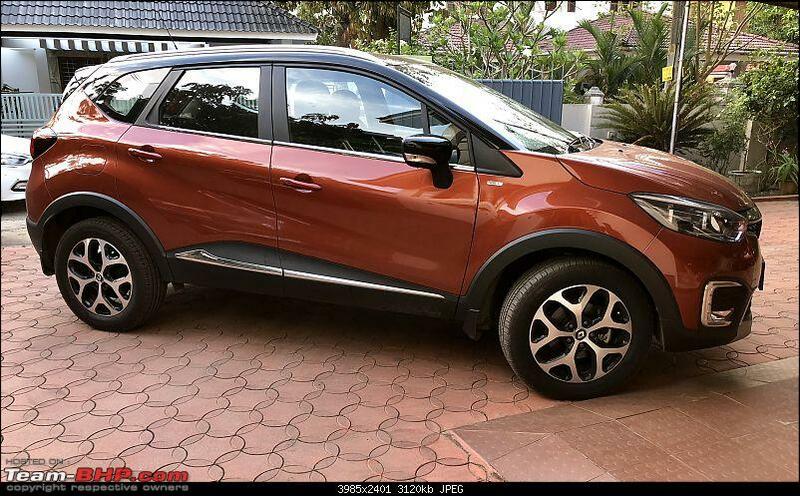 It is old school design yet looks much better than Captur. Duster has macho looks and looks proper SUV which Captur cant match at all. Same with Old Pajero, anyone will agree that old one was way better than new Pajero (I am talking of looks only), it has those looks which can go for years like old Jeep, Gypsy etc. Sadly, before the T-BHP review is up, car is already flop in market. No way it will pick up sales. Last edited by aniketi : 13th March 2018 at 15:53. The hotel like keycard looks to me as a cost cutting measure. How? 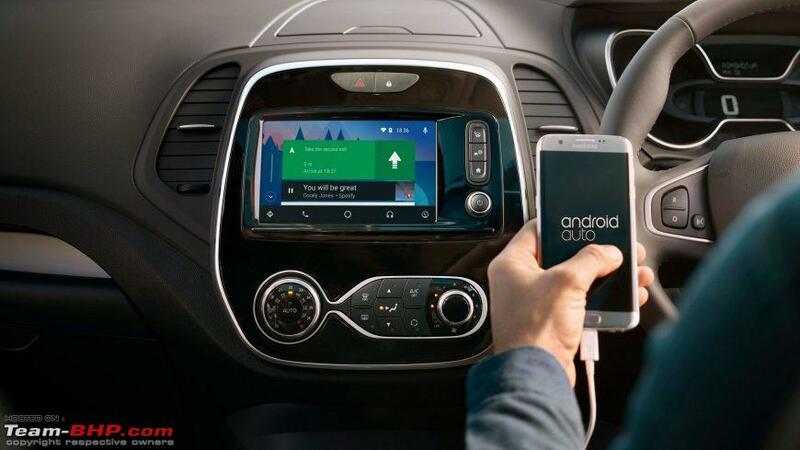 Generally if you have a smart key system, there are different set of antennas to detect whether you are inside or outside the car. Here the captur skips the inside antenna as it is mandatory to insert KeyCard for accessories to be turned on. It is not mandatory to insert keyfob into the slot. Even for starting ignition, it is not needed. It is just a slot for storage with some added functionality. I always keep my Captur key in pocket and never put it into the slot. One plus side of the card like keyfob is that, it is easy to keep it in your pocket. Last edited by anilntny : 13th March 2018 at 16:51. 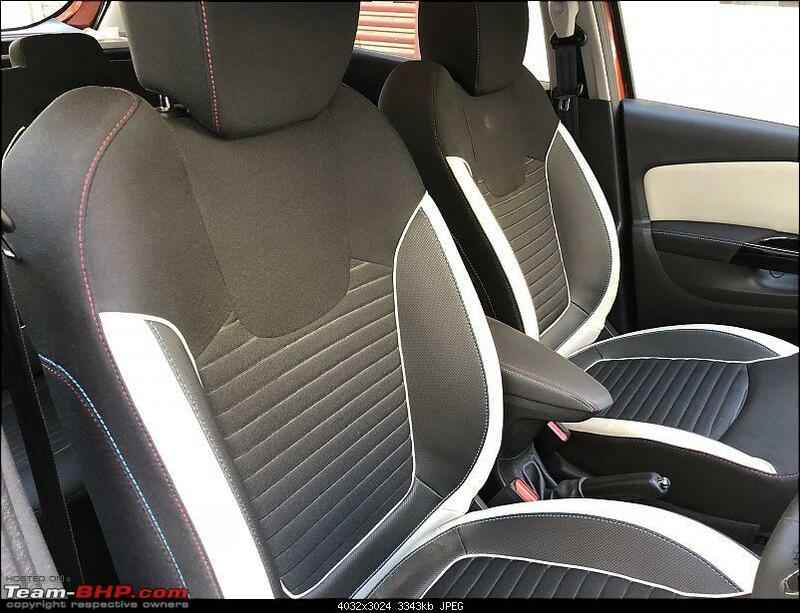 Clio based Captur gets an almost identical interior. So the design is truly French. 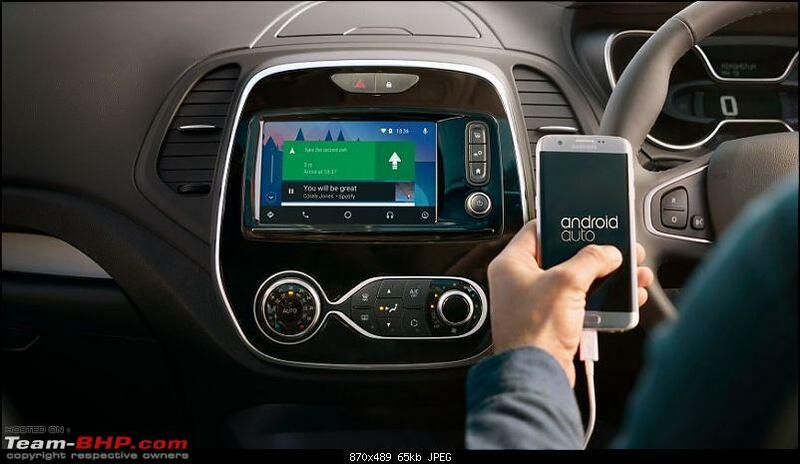 Maybe they could have included their latest R-Link multimedia system with android auto and Apple CarPlay. Please see pictures of Clio based Captur and Indian Captur below. Last edited by anilntny : 13th March 2018 at 22:14. Thanks Omkar for the awesome review. First comments about the footwell would be that it's cramped. There is no dead pedal & no space to the left for resting your foot, which is a bummer. On long drives, the driver will have to rest his/her foot below the clutch pedal. On paper Renault Captur is wider than Hyundai Creta, still, Captur's footwell feels cramped. This is a footwell without a dead panel or any space on the left side. Isn't it Strange? I call it Spark effect . I always felt the movement of the steering column in Chevy Spark. 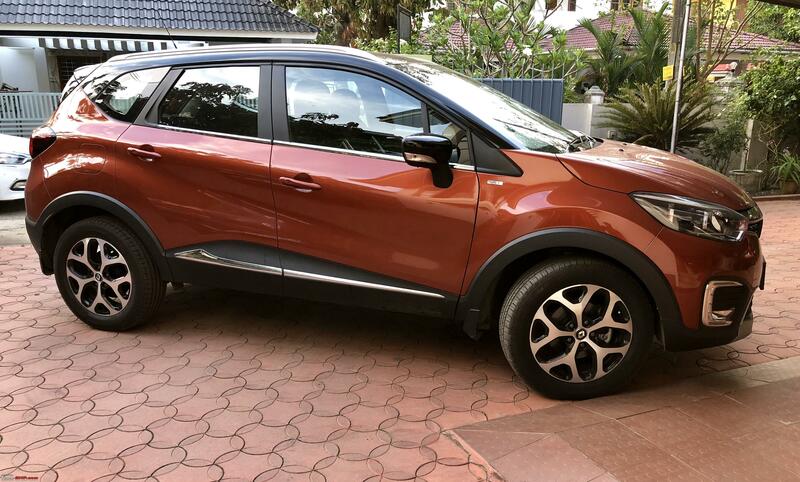 Hey Anilntny, how long have you been owning the CAPTUR? What’s been your first hand experience? I have been using Captur, since last December. Odo reading is now 5000+ km. So far, I have no complaints except for turbo lag creeping in 2nd gear. But now I just rev it up a bit, to deal with turbo lag and it just flies. My previous car was an 85 ps Duster RXL (First generation). It had very bland interiors. 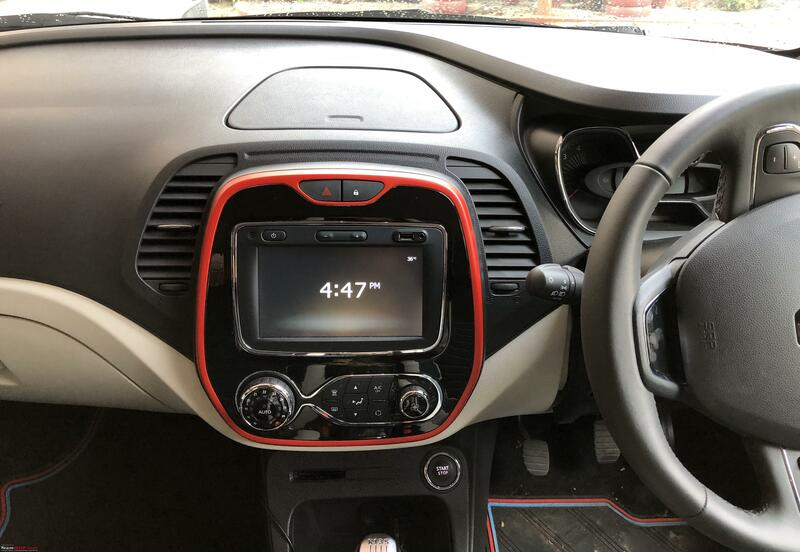 So I am very happy with what I get with Captur. My Duster had steering kickbacks too, so I find it to be very well controlled with Captur. Seats are very plush and supportive, especially headrests are uniquely designed. (In comparison to my old Duster). I recently added roof rails, which are now available as genuine accessory from Renault. Last edited by anilntny : 15th March 2018 at 07:44. Nice review. I was considering the Captur as replacement for my 5 year old Duster. Dropped the plan after taking a test drive. It is a Duster in new clothes. Good to know. And the car looks awesome too! How’s been the ride on the highways, if you have done a long stretch...And is yours the RXL or Platine? Mine is RXT and highway ride quality is good. Compared to my old Duster, I feel less fatigue during long drive. Front seats, driving position and road manners are way better than that of Duster. Last edited by anilntny : 15th March 2018 at 09:50.